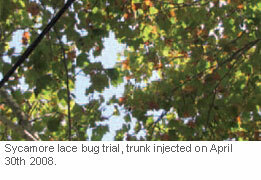 Elmsavers has years of experience treating the Sycamore Lace Bug and other diseases and pests in plane trees. The Sycamore Lace Bug is a native North American pest of plane trees (aka Sycamore trees), and was introduced into NSW during 2006. SLB prefers to feed on plane trees (Platanus spp. especially Platanus occidentalis L.) (Platanaceae), and while infestation centers on the Sydney basin, it is widespread and has spread as far west as Gundagai. 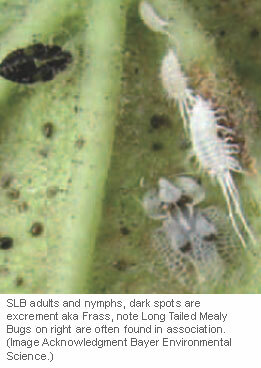 SLB is related to other lace bugs including the azalea lace bug and the olive lace bug. SLB foliar damage resembles those by other lace bugs, with adults and nymphs feeding on the leaf undersides. White stippling is the first indication of damage – progressing to bronzing and chlorosis with subsequent and premature leaf drop. Late summer infestations cause partial or complete defoliation. 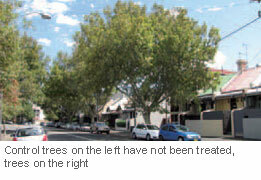 Damage to plane trees in Sydney is not affected by wet or dry seasons. Details of the life history of SLB were recorded by Wade in 1917. He stated that mated pairs initiated colonies by laying eggs along leaf veins, typically near forks. A single female may lay 250–350 eggs (Wade 1917; d’Aguilar et al 1977). Wade (1917) counted five immature instars, and found that in summer in Oklahoma (53.7°N); a single life cycle is completed in 43–45 days. In warmer conditions, however, it is likely that several life cycles may occur, each in a shorter period of time. 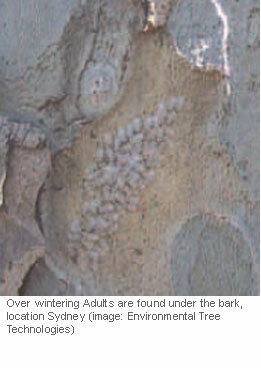 Wade also found that adults spent the winter under loose bark or in cracks and crevices, and that they could tolerate temperatures as low as -10 °C. A number of authors have concluded that the majority of the pest’s long distance distribution has resulted from human activity. In North America, SLB has also occasionally been recorded on other hosts (see Halbert & Meeker 2001). In Australia, SLB is suspected to have spread via attachment to vehicles externally; it is known to hitchhike within the cabin, while it has also been noted that the insect often lodges in people’s hair or clothing. Adults are white in colour and about 3 mm long. Like other lace bugs, the scalloped dorsal ornamentation is characteristic. They are recorded almost exclusively on P. occidentalis (Drake and Ruhoff 1965), but have also frequently been found on primary hybrids of P. occidentalis and P. orientalis – commonly used as shade trees in Sydney. Although Maceljski (1986) records that adult SLBs ‘are good fliers’, observations of these and most other lace bugs show that, in almost all situations, they prefer to walk rather than fly. 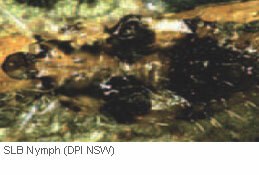 Nymphs are accompanied by adults and are smaller with dark and light-coloured bands. Nymphs hatch and begin to feed close to where the eggs were laid, Moulting cast-offs make the population appear larger than it actually is. 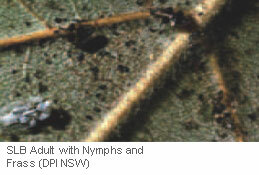 Typical foliar damage caused by the Sycamore Lace Bug is shown in the image below. The bronzing and partial defoliation occurs later in the season. London Plane Trees would normally have a full canopy at this time of the year; this pest will also attack Oriental Plane trees P. orientalis as well. 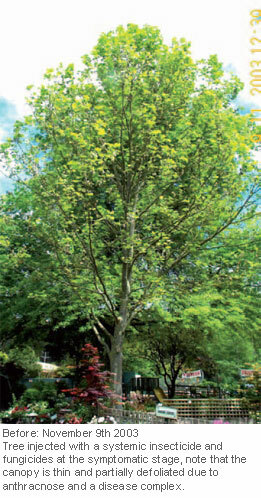 Elmsavers has years of experience treating a range of diseases and pests in plane trees. We use a dual treatment that will control both fungal and insect problems. In additon to the diseases outlined below, insects such as the “Long Tailed Mealy Bug” are also widely established in this country (note that both Sycamore Lace Bug and the Long Tailed Mealy Bug are Hemipteran insects). Leaf Scorch (Sycamore Anthracnose) is a fungal disease widely established in this country. It is not spread by SLB but by wind, disseminating mainly during wet and humid conditions. Tree location Wandin Victoria. Note in the past this tree suffered badly from both. This disease is treatable and responds to tree injection, the best delivery method when using appropriate systemic fungicides. SLB is a known vector of Ceratocystis Fimbriata, also known as “Canker Stain”. This fungal disease is not present in Australia, however, if established it would spread rapidly – mostly affecting London Plane Trees. It should be noted that overseas experience has shown that Ceratocystis fagacearum a closely related species responds to tree injection treatments when administered in the early symptomatic stages. The Sycamore Lave Bug is a Hemipteran insect and related to aphids, cicadas and psyllids it is highly susceptible to the Chloronicotinyl insecticide Imidacloprid. The most effective method of treatment is via tree injection. The chemistry is injected directly into the active sapwood (xylem) and it is then translocated upwards to all parts of the canopy. Treatments target the insect as it draws out the sugar rich solutes from within the leaf structure; the insecticide is dissolved in this fluid. Tree injection works rapidly and has good persistence – the chemical is locked within the tree; and it has no environmental impact as with other methods such as soil injection or canopy spraying. 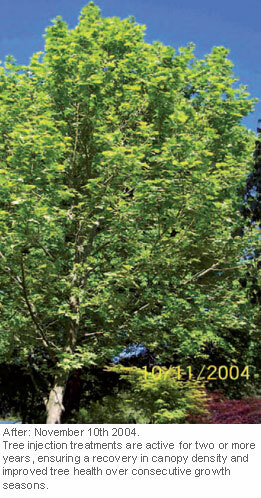 Elmsavers recommends tree injection as the most effective means of control of SLB in our Australian conditions. 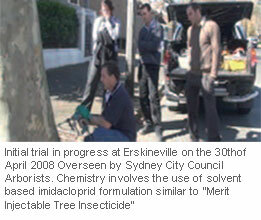 Elmsavers introduced the concept of tree injection to council as a reliable method of control for this pest. We advised the council arborists that they would get two growth seasons out of one treatment, further control can be increased with higher dose levels. Avoid major damage and serious overall decline in your plane trees – talk to Elmsavers about the best treatment at the right time for your trees. 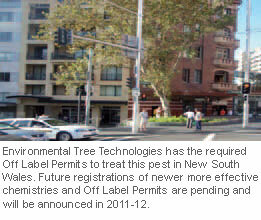 All Images and Data in this document are the property of Elmsavers, a Division of Environmental Tree Technologies Pty Ltd 2010. Reproduction of this document is not permitted and unauthorised use as promotional material by Individuals or Companies is prohibited without approval from Elmsavers. 2010. Acknowledgements Löcker and Birgit Löcker, NSW DPI. Some images in this publication were taken by Peter S. Gillespie, Holger Bayer Environmental Science images and Chemistry.